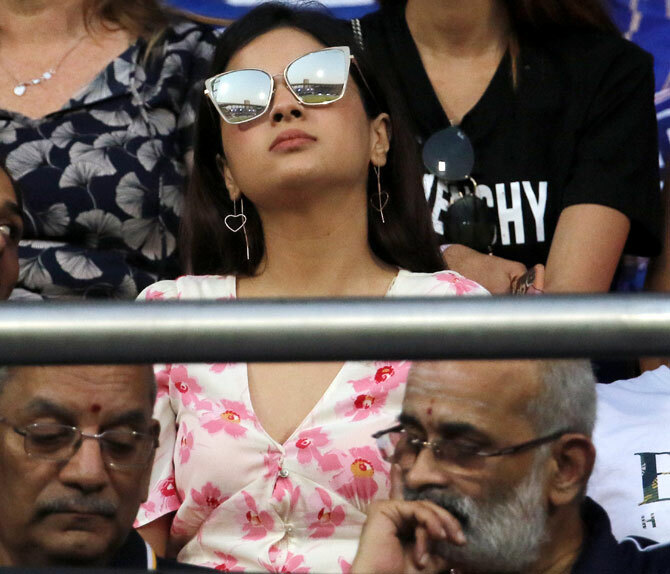 Sakshi Dhoni was at the Wankhede Stadium to watch Wednesday's IPL-12 game between the Chennai Super Kings and Mumbai Indians, which the visitors lost by 37 runs. As always, all eyes were on Sakshi after husband Mahendra Singh Dhoni led the defending champions out to field after winning the toss. CSK came undone with the bat as they suffered their first defeat of the tournament after starting off with three straight wins. Sakshi has been a constant presence in the stands during CSK games in recent IPL seasons and at times has brought along daughter Ziva. 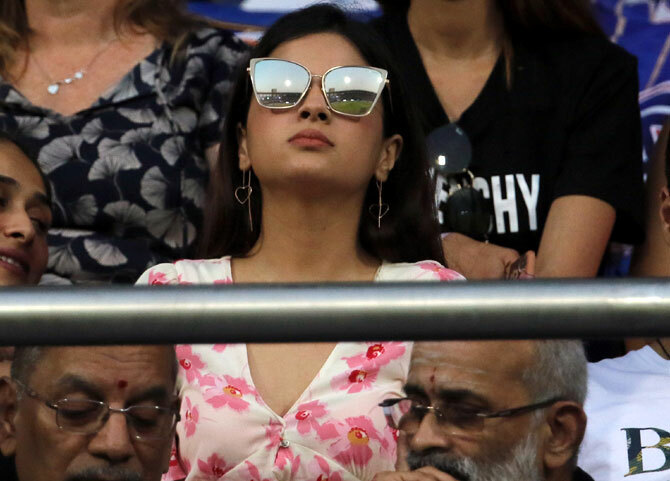 Sakshi, who sported a pink floral dress with swanky sunglassses, was joined by Yuvraj Singh's wife Hazel Keech, who donned the Mumbai Indians jersey, in the stands at the Wankhede. Watch: How did Dhoni learn to dance so well?